What Are Your Most Important Assets? I have been immersed in automotive Internet sales, BDC, and digital marketing for almost 15 years. Needless to say, in this time there have been countless evolutions in social media, lead generation, mobile devices, and every other form of technology. Through it all, one thing has always remained constant and important – PEOPLE. We have always needed, and continue to need, good quality people. No one has invented robots that sell cars, and no one has eliminated the need for automotive sales professionals, Internet directors, or appointment setters. Through all of the technology upheavals, social media fads and the Google ZMOT craze, the ONLY thing that has not been eliminated or genetically enhanced is the “People” aspect of the department. People are the backbone of this industry. People sell cars, people conduct product presentations and demo drives. People qualify prospects, identify their wants, wishes and expectations, and then meet them and exceed them. No matter how much technology we have at our disposal, it is the “People” that make everything happen – before, during and AFTER the sale! That being said, dealers must make sure they have the RIGHT people in their departments, and not settle for anything less than what is needed for success. Too many times dealers take “ANY” “body” that is available. They only recruit when they are desperate and need “bodies.” It is rare to see dealers proactively recruiting for the right candidates. The scary truth is that this is true throughout the dealership – but it is becoming an epidemic in the Internet Sales Department, the BDC / Call Center, etc. In these departments, many dealers are not staffing correctly. Horrifyingly, they are either hiring the wrong people to run their multi-million dollar department, and / or they do not have the appropriate number of people in their department. It is common to see departments with way too many leads and only one or two BDC reps managing 500, 600, or more leads. You are NOT able to effectively communicate with your individual Internet Prospects because you are spread too thin to have the proper amount of e-mail / phone call follow-up protocol. You will have prospects slip through the cracks and potentially buy elsewhere. It’s NOT just the leads for the current month that are not being handled properly; there is also your Residual Flow Factor to consider. The average buying cycle is 45 – 90 days. So, if there are 500 leads (fresh for the month), there are an approximately 250+ carry over leads that you’re still working. Whether you create your commercial in-house or outsource the job is up to you. No matter how you do it, my strong advice is to produce one. Facebook and Facebook ads, sponsored posts, etc. You can even create a “We are hiring” button on your website! Remember: you are only as strong as your weakest link. And if your weakest link is your people, you need to – and CAN – do something about it immediately. If you have any questions about this article, please email me at sean@dealersynergy.comor feel free to give me a call at (267) 319-6776. Ken Pollock Auto Group was tired of traditional and digital means to recruit. They NEEDED Good people and FAST, so they had Dealer Synergy create a TV commercial to use broadcast and cable to generate a lot of resumes. If you are struggling to find the right people for your team, I suggest that you consider using broadcast television as a resource to drive lots and lots of resumes! Every place I travel I keep getting asked the same question, “What is your best tip in Sales?”. There is one great answer, STOP SELLING. A) I want to be Sold a car. B) I want to be assisted with my needs. Any guesses on the answers? Of course, everyone is going to pick B. We have to trust our prospective clients to choose us, not rely on aggressiveness to force a decision. This puts a higher burden on our staff to exceed expectations, truly present real world value in our product, be there now and down the road for their clients, provide a clean maintained facility, and provide information in a straightforward manner. Our staff have to stop worrying about whether or not they are selling a car right now, and focus on earning loyalty. It takes just a few minutes to drop a bored service client at the mall, no time to take the call from the guy that bought a car last year that wants to buy another set of floor mats, seconds out of our day to greet the folks wandering around at 9 in the morning like they are here to buy a car even though they may only be in for service. When is the best time to hire salespeople? In my line of work I am often asked when the best time would be to hire salespeople. When will I get the most people of quality to respond to my help wanted advertisement? My overriding thought and response is usually the same; before you need them. But taking a deeper look at the question itself reveals that in reality this is a multi-faceted question. Is the question a matter of time of year or one week of the month being better than another? Or, should we hire salespeople while there is a big sales event occurring? Or, is it best to wait until I am a few people short and hire a bunch at a time rather than one or two? Does a holiday affect the outcome? Let’s take a look at these questions and share our experience. The time of year does have both pluses and minuses. 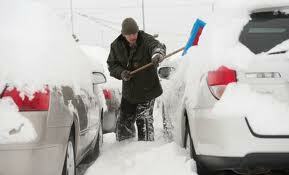 Many people think that the winter months, especially the December / January time frame will not work well for them. Their reasoning in colder weather climates is because business is generally slower and weather conditions could affect the outcome. Some people try to speculate the market figuring that people aren’t looking for a career during holiday weekends, vacation season or at other times suggesting time of year has a bearing. The reality is that on any given week there are far more qualified applicants who would most certainly have interest in an automobile sales career than you might think. The times when conventional wisdom would indicate that it is best to hold off, wait until things get better, are in reality the very best of times to recruit salespeople. Why? For example; if very few dealerships are advertising for sales help and you are actively doing so, who’s help wanted advertisement is everyone going to see? You benefit because you are the only game in town. You are cornering the market of qualified applicants. Additionally, when times are slower or perceived to be slower is also a great time to hire salespeople. The reason is you theoretically have the time to devote to a newly hired person to better prepare. Give them a foundation and they will grow and prosper for time to come. Should I hold a sales event and does the week of the month help or hurt the hiring process? Both of these are great questions because these are things that can affect results. A sales event can be a terrific time to hire as the added excitement puts a buzz in the air and creates the impression of opportunity. This is why some dealerships like to conduct recruiting during the last week of the month. Ordinarily the last week of the month is one of the busiest. Again, activity breeds action, and the action you want is for your applicant to make the decision your dealership is the place to be! What is better to do, hire one or two at a time or wait to hire many in an effort to maximize the investment? In short, the longer you wait the more it will cost you. Why? Missed opportunity is the biggest reason. Even being only one salesperson shorthanded is a detriment to achieving success both in unit volume and overall gross profit. The situation becomes exacerbated with each additional salesperson you are short. In nearly every instance it is far better to recruit more often and well before the need becomes abundantly apparent. A large percentage of our clients recruit on a quarterly basis, if not more frequently, even if on the surface they don’t have the “need”. Their reasoning has proved sound. They are rarely put in the position of having to cater to the whims of one or a team of salespeople. They don’t run short-handed and are always prepared for the inevitable changes and opportunities that occur day to day, week to week and month to month. They have also found their sales teams perform at a very high level; it is very clear their job at the dealership is highly valued and if they aren’t making a full out effort, someone else will. Lastly, it is easier to integrate one or two people at one time into the culture of your dealership then having many to follow up with. Hopefully you have gained insight into some of the most asked questions we receive and can implement strategies that work for you. The bottom line is every week is a good week to hire salespeople. However, it would be best to plan ahead and recruit a smaller number of people on a consistent basis. What questions do you have? Perhaps we can help you. AutoMax Recruiting and Training, LLC. Welcome all, as January is roaring to an end. I recently attended a memorial for my Grandma, a feisty 95, and heard something, that upon reflection bears repeating. My oldest and wisest cousin (he is going to have a big fat head when he reads this) stood up to talk about our Grandma, and said "It is in the doing.". He went on to talk about many of the things we had done, and learned from our Grandma that we still carry as a bond today, most notably learning how to play Scrabble when we were little. The memories of my Grandma touched me on that day, but my cousins statement has me thinking about many other areas of life as the days have rolled forward. Most notably Dealership synergy and retaining Sales Consultants. When a new Sales Consultant is hired, their view of this industry and consideration for working in your organization long term is established in the first few months. It is based on availability of clients, earning potential, and a feeling of belonging to a team. This feeling of belonging is created through the learning of the job, and how hands on the first few months are. Sales Managers always wonder why Sales Consultants reach out to me, when we have only met for a few days. It is because I am hands on, and embedding a sharing skill in their DNA. A prime example is the dreaded snow removal. For those of us in the Northeast it is grueling to clear off hundreds of cars, move them to plow, and know that business will be slow for that day. As bad a task as this is there is an upside. After the snow is cleared almost every Dealer buys pizza for everyone who froze their tail off outside. While everyone is sitting around eating pizza, there are no stories of stealing clients, no complaining about a lack of customers, no issues with the Management, only stories of clearing snow. Sales Consultants new and old talk about the worst storms, the times they cleared the lot the fastest, the client that came in and bought a car in the middle of a storm. They are united in the doing. We are all busy, there are reports, inventory, ads to write, meetings to go to, and deals to work. In the middle of all that make the commitment to grow these new employees through doing. They will stick with you through thick and thin. "People" Are the MOST Important Aspect of ANY Business... You need to be CREATIVE on Where & How You Recruit! I received an email from this dealership and was very excited when I saw that this dealership was using Digital Marketing Initiatives to try to recruit for their dealership!! If a dealership wants to hire or needs to hire additional members to their team... they need to think out of the box. I am always looking for ideas to help dealers be successful. If you have any additional ideas for HR / recruiting, please let us know!